Following on from a successful 2018 in which the co-located event welcomed over 30,000 attendees through its doors, the leading IoT event is excited to announce its 2019 dates and locations. With larger venues, new keynotes, a greater focus on enterprise solutions and a host of organisations already confirmed as high level sponsors, this year’s show will be one not to miss. 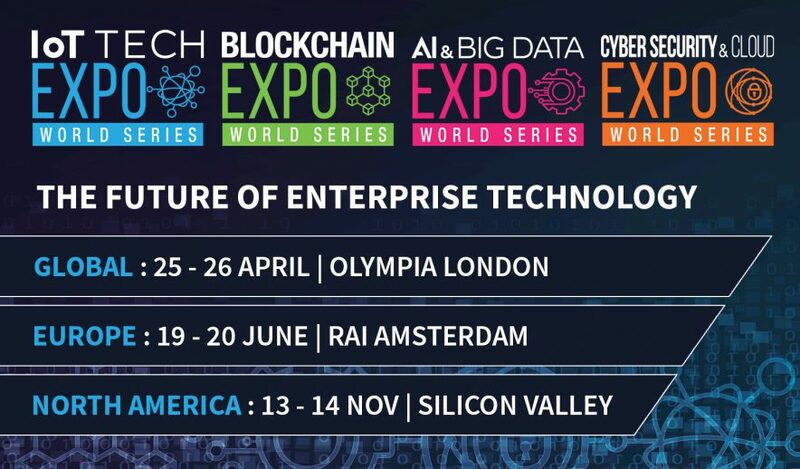 London is the first stop for the IoT Tech Expo World Series 2019, hosting four co-located events exploring IoT, Cyber Security, Cloud, AI, Big Data and Blockchain under one roof at the Olympia Grand in London on the 25- 26 April. This global series prides itself on its industry-leading speaker line-up, real-life business case studies and excellent networking opportunities with over 56% of attendees being of director level or higher. The event hosts a free-to-attend exhibition which explores the latest technologies, hosts live demos and product launches, and invites conference attendees to exclusive networking areas and events during the show. 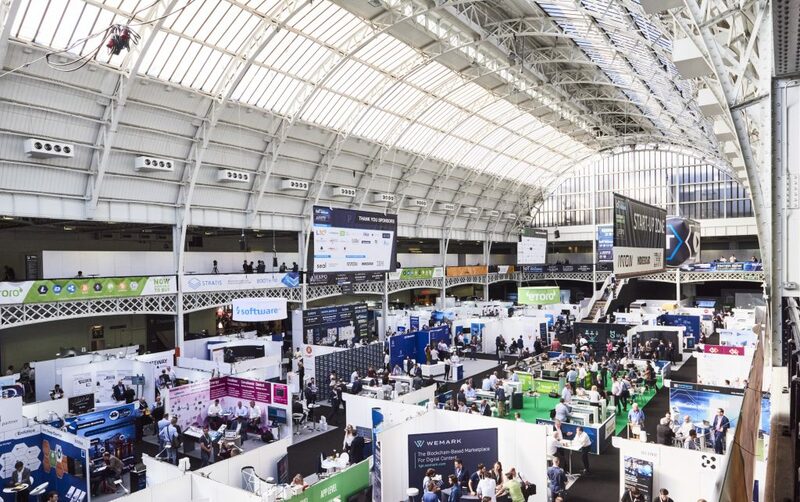 London is the first stop for the IoT Tech Expo World Series 2019, hosting four co-located events exploring IoT, Cyber Security, Cloud, AI, Big Data and Blockchain under one roof at the Olympia Grand in London on the 25- 26 April. The need for such an event, bringing together key industries for 2 days of top-level content and discussion across the globe is undeniable if one considers that in 2019 worldwide IT spending is predicted to hit $3.8 trillion, an increase of 3.2% from 2018 according to a recent report by Gartner. The increase in spending will be driven by emerging technologies; IoT, AI & Big Data, Cyber Security & Cloud and Blockchain are projected to be the key growth areas. Many feel the game-changer for emerging technologies lies in the convergence of IoT, Blockchain, Cyber Security and AI. 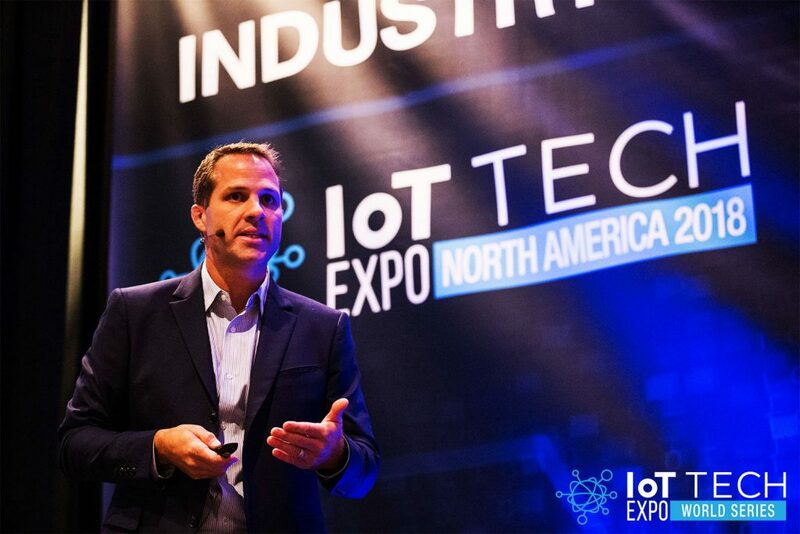 Last year IoT Tech Expo speaker, Cisco’s Maciej Kranz stated that the leading technologies of today – AI, IoT, Cybersecurity and Blockchain – will converge to power new solutions. Indeed, according to business magazine Forbes this convergence is not accidental but rather an inevitable necessity. “AI needs data, IoT needs intelligence and insights, and both need security and transparent marketplaces.” (Forbes, 2018). Being aware of these synergies and considering the impact of these 4 technologies on businesses and our day-to-day life in combination with the potential of synergies between them, the IoT Tech Expo event will be hosted alongside the Cyber Security & Cloud Expo, AI & Big Data Expo and Blockchain Expo. Attendees can explore all 4 ecosystems in 1, giving them the opportunity to understand the areas’ connections, combined capabilities and their impact on many industries including Manufacturing, Transport, Supply Chain, Insurance, Logistics, Government, Energy and Automotive. 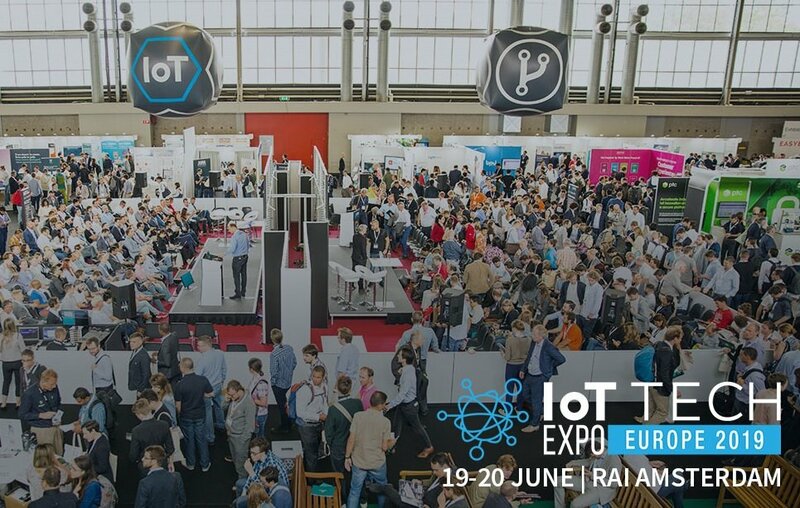 The IoT Tech Expo World Series 2019 will then return to Amsterdam on the 19-20 June in a larger hall at the RAI. The Europe event is expecting 10,000 attendees from across Europe and beyond. Attendees will be able to hear senior representatives from Shell, E.ON, tado°, Audi, OPC Foundation and many more discussing how they are developing and implementing IoT within their organisations. Returning to the heart of Silicon Valley on the 13-14 November, the North America 2019 is set to be the largest yet, with more focus on enterprise solutions, networking opportunities and the convergence of these key technologies. There are a range of tickets available including free expo passes which allow access to the exhibition and the open conference tracks across the 4 shows. For full conference and networking opportunities, the Ultimate Pass gives full access to all co-located events, materials and networking opportunities. There are a variety of opportunities for you to get involved, customised to suit your business objectives including speaking, exhibiting, branding opportunities, 1-1 meeting service, sponsoring and more. To find out more, you can contact the team on [email protected] or click here for more details.